As a home girl (and I’m not talking the hip hop sense of the word), I’ve come to realise that certain home comforts are very important to me. And it seems like the older I become, the more things matter to me. There are items in my home that I rely on again and again – either for practicality purposes, physical comfort or just the ‘feel good’ factor. I haven’t just prioritised this because we’re in the middle of winter, but a cosy and well-made throw will simply last you for years. It will see you through chilly winter nights, comfort you when you’re ill and is the perfect prop for styling a chaise longue, ottoman or a sofa. 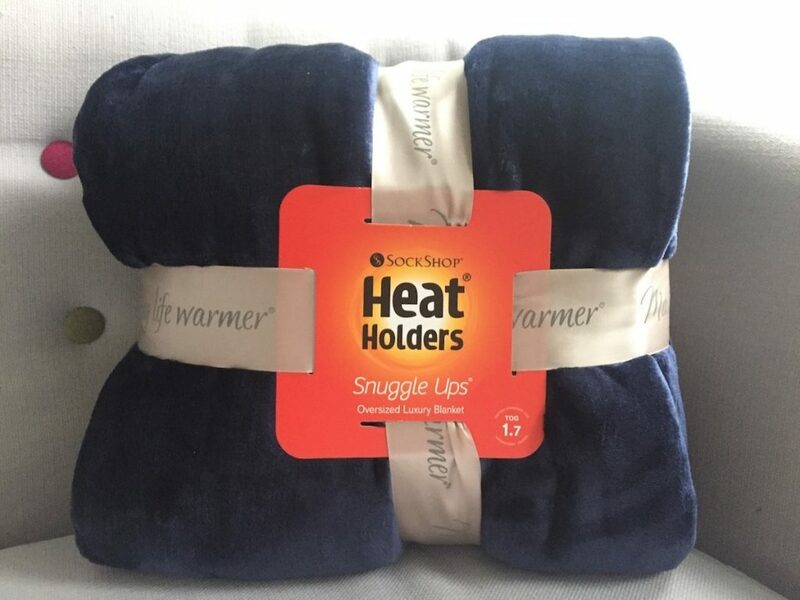 Heat Holders Snuggle Ups Blanket (even the name is cute), has launched a new range of colours, so there’s something to match all décor. They include contemporary neutrals such as creamy Snow Fall, silvery Moon Rock and rich Hot Chocolate, while for the bolder palette, take inspiration from a former Pantone colour of the year with Dusty Pink, or pay homage this year’s colour of choice, Greenery, with Heat Holder’s delicate Olive shade. Or how about the new Gold Dust and Copper shades or the festive Cranberry and Mulled Wine shades? The super-soft blankets have an RRP of £24.99, offer a 1.4 tog rating and measure 180cm x 200cm – plenty of room to share then! I can’t mention Christmas ideas for Interiors fans without mentioning candles. Every home has at least one (even if it’s just in case of a power cut!) and they comes in sorts of shapes, sizes and colours. If you can, aim to get 100% natural wax candles as it they’ll be toxin-free, are easier to clean up if they spill and offer cleaner burning. Decanting food into stylish jars and storage containers is something that makes my home feel extra special – plus it looks great on open shelves too. And what better jars/storage aids to use than good old Kilner? Choosing quality when it comes to kitchen storage is an absolute must. 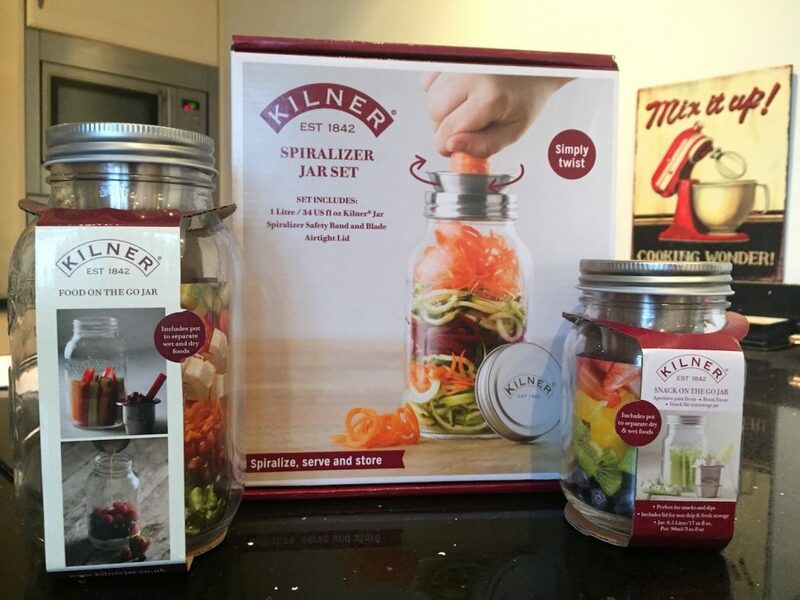 And the great thing about Kilner’s range is that they have got some really innovative products – available in shops ranging from Sainsbury’s, Argos and Wilko to Amazon, Debenhams and Lakeland, so they’re very easy to find. 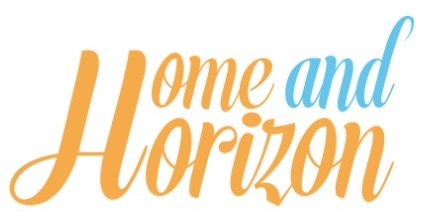 As just a few examples, there’s ‘Food On The Go’ and ‘Snack on the Go’ jars, which costs from £8.26 and include a pot to separate wet and dry food, plus a Spiralizer Jar Set, which costs from £13.50 and allows you to make zoodles with hard vegetables – and then catches them in the jar – very handy! There’s a lot of choice – and by choosing a household name as a present – you can’t go wrong. If you really want to impress an Interiors fan, you need to find that one-off piece that’s far away from the High Street shelves. And I don’t mean flying abroad in search of that unique piece, although if you are on holiday it’s worth keeping your eyes peeled! Think about checking out antiques markets, auction houses and independent stockists. 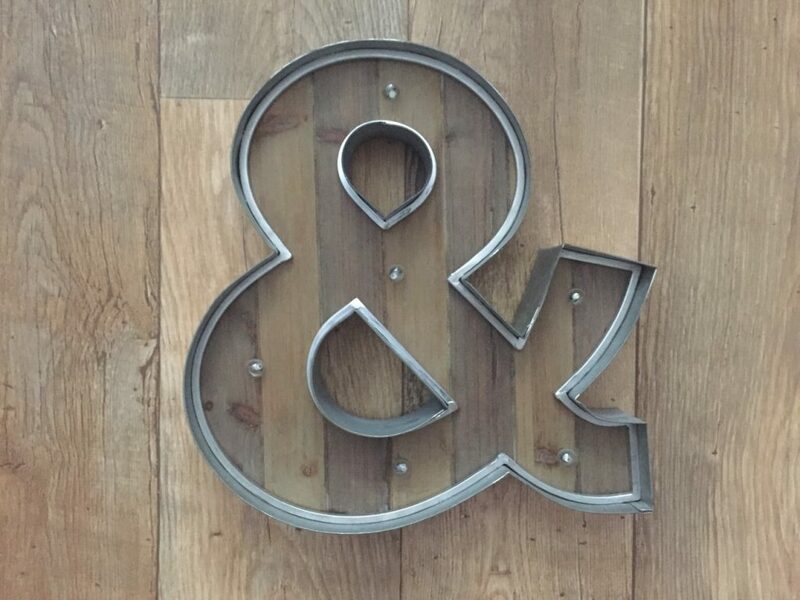 I picked up this light-up ampersand symbol from a little gift shop near where I live a year or so ago. I make sure I switch it on when we have guests coming over – and they always ask where I got it, which is the biggest compliment. 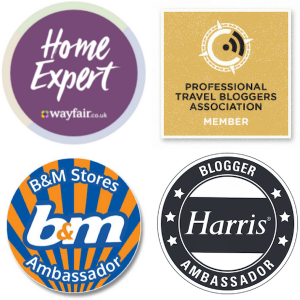 Use the clues to find that special Je nais sais quoi – and if you can, try to suss out the décor themes and accessories they currently have so you can get a feel for the type of product and material to go for. 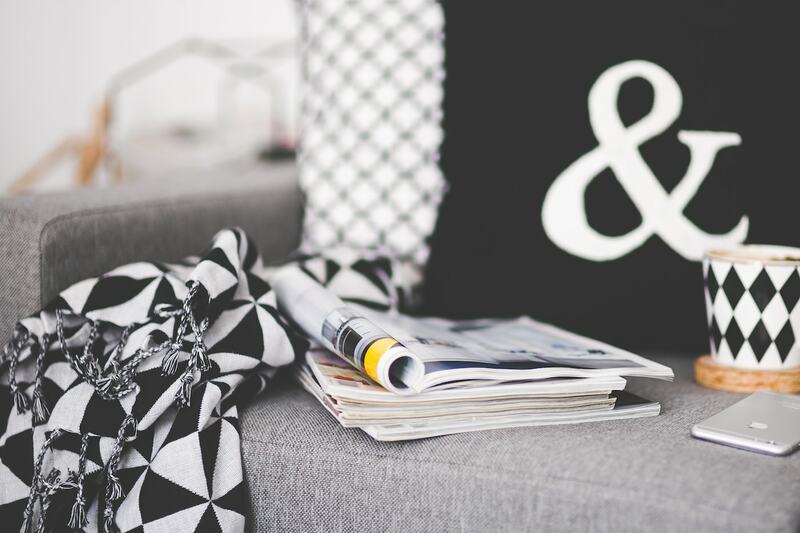 If it’s a minimalist house that’s usually free of clutter, homeware or accessories made of metal or glass will go down a treat, while for the more traditional, you can’t go wrong with fabric accessories – a personalised cushion perhaps – or a wooden sign. True interiors fans are always on the look out for new themes/trends and styles – and enjoy keeping up with the Jones’ when it comes to the right colour scheme – especially as seasons change. 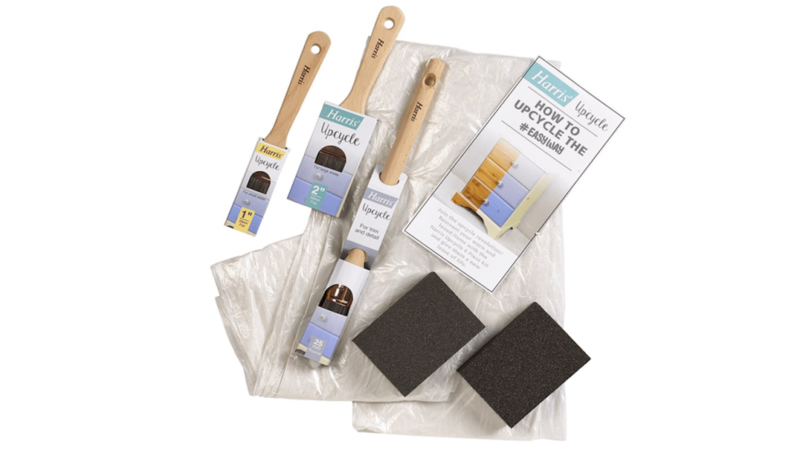 For Interiors fans who are also fans of upcycling, Harris has recently launched an Upcycle Kit for £14.99. The six-piece kit can be used on wood, metal, plastic and ceramics and includes flat and round brushes for all areas as well as a dust sheet and a free ‘How To…’ guide in every kit. It’s the gift that keeps on giving! There’s no point buying someone a brush set if it’s not great quality. As they find themselves endlessly trying to get rid of stray brush hairs from their walls as they paint, they’ll be silently cursing you for being a cheapskate. So don’t make that an issue – get them the best brushes so that they can use them time and time again. And if you want to make it extra special – you can now get Harris’ ‘Never Buy Another' range of brushes that can be personalised with an inscription from £8. They come with a lifetime repair or replace aftercare service – now if that’s not a thoughtful gift, I don’t know what is. I mentioned that one of my weaknesses was French soap. I believe that no one makes soap like the French do – they are the professionals and no one comes close to them. So every time we (or someone in the family/a friend) goes off to France, I ask them to pick some up for me. The obsession all started a few years ago when we went on a family camping holiday to Brittany in the summer. We needed some soap and we picked up a couple of bottles for our caravan – and it smelt divine. So I went back to the supermarket to pick up a few more bottles to bring home – and it went from there. The only place that I’ve managed to find something similar in the UK is in TKMaxx – but it’s like hunting for a needle in a haystack sometimes. 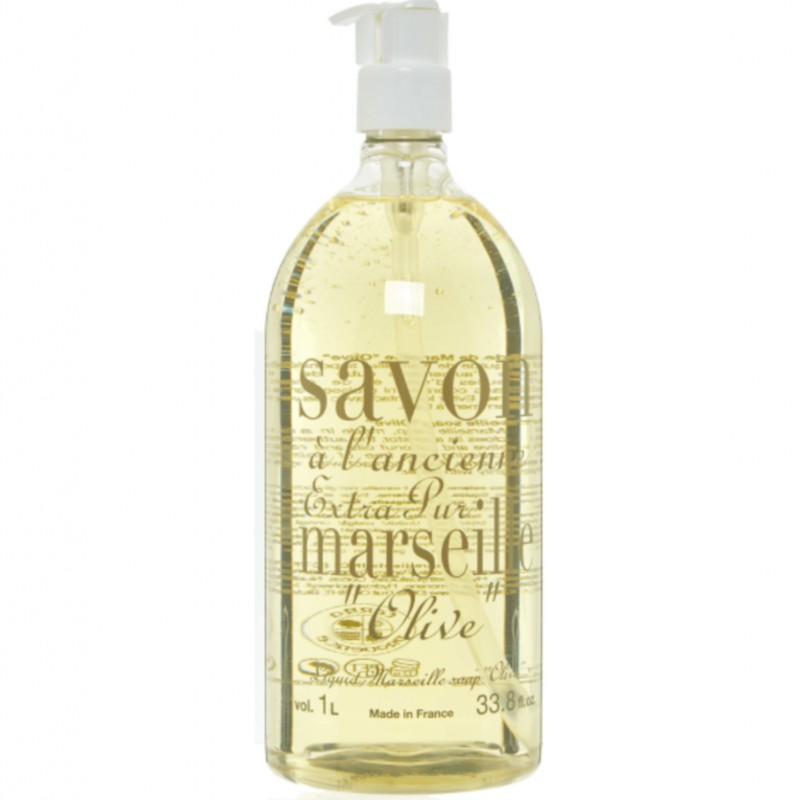 Here’s one of my favourite brands – it’s Savon’s Terra Provence (1L) in Olive and it costs £7.99. So you can’t go wrong buying a soap gift set for an Interiors fan – they’ll like the fact that (a) it looks different from the other hand soaps out there (b) love that it smells divine and (c) will want to proudly display it in their downstairs cloakroom! Interiors fans naturally take a lot of pride in their home surroundings. And one of the most popular finishing touches to any room has to be a bunch of beautifully displayed flowers. A bouquet is usually on the weekly shopping list for the house-proud among us; not including me sadly as flowers actually give me headaches, so I’m more of a plant girl myself. But for those looking to showcase their flowers in the best possible light, they'll appreciate a striking vase to do the job – and there’s plenty out there. But before you go out there and grab the first thing that you see, take a look at the person’s house to gauge the sort of vase they’d appreciate. For example, if their home looks like it would sit well in the pages of Country Living (complete with plenty of florals and muted shades), then a geometric vase in copper might well be ‘bang on trend' right now, but it would look out of place in their home. Department stores are a great place to pick up vases; if in doubt and if you really can’t decide, opt for a clear glass vase as this will suit most interior themes. Everyone has their weaknesses and rather than shoes, handbags and clothes, mine are glasses, candles and, as you now know, French soap. I’ve got an eclectic mix of glasses (and mugs come to think of it), but I’m particularly fond of double walled glasses – just because they look really classy. In fact, I recently took a picture of a herbal t-bag in one of them and put it on social media. Most of the comments I got back were asking where I got my ‘posh glass’ from, which made me smile. Here’s a small collection of my double walled glasses – the last of which I acquired (on top of the box) were two 30cl double wall insulated glasses with handles by Ravenhead. The Double Wall range of glassware is made from Borosilicate glass, which is ultra-light and heat resistant. Constructed with an inner glass layer, which creates an insulated air pocket, keeping hot liquids hot and cold liquids cold for much longer. 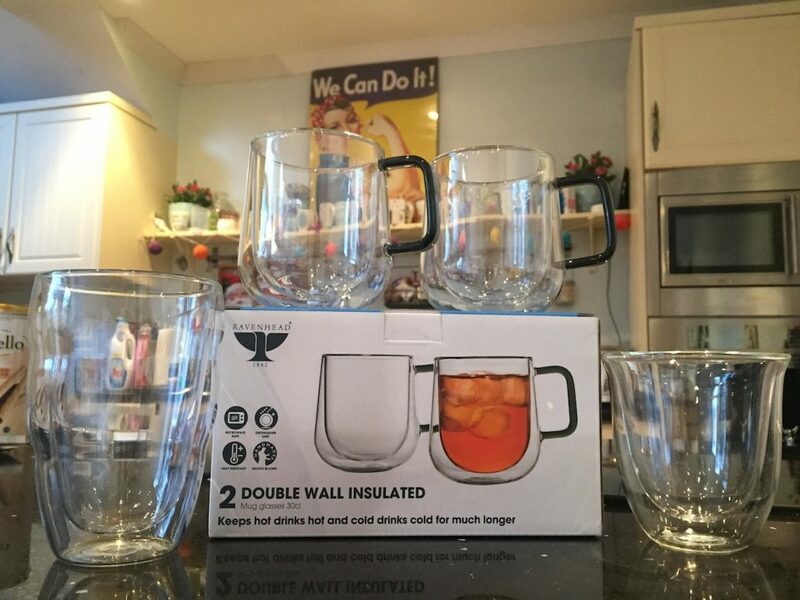 You can buy the glasses from Amazon for £17.27 and they are microwave and dishwasher safe. They’d make a great present for someone who likes their tea/coffee – and I think we can all relate to drinking from your own ‘special glass/mug’. Finally, why not consider a subscription to an interiors magazine? There’s a huge range to choose from – for modern living and housebuilding, through to countryside abodes and apartments/city dwelling. 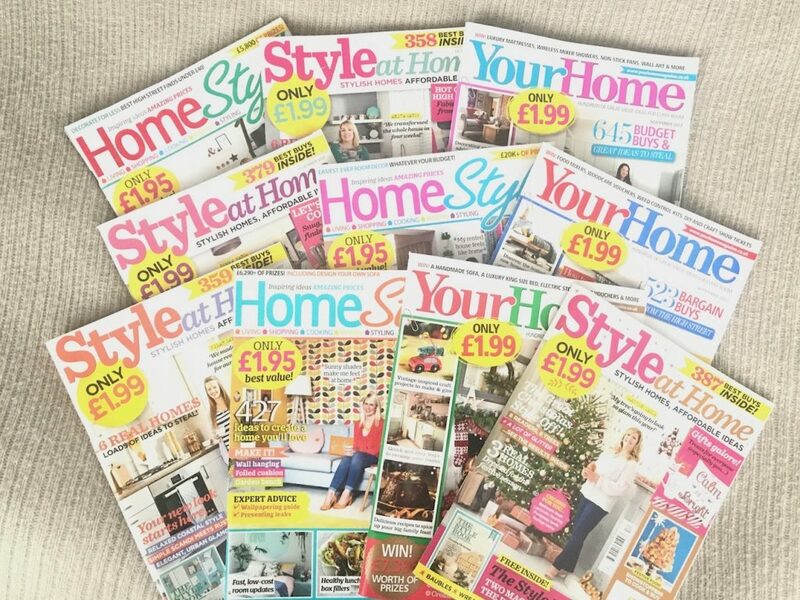 My personal favourites are Home Style, Your Home and Style and Home (for the budget/affordable end of the market), and I pick these up every month to get ideas and inspiration on new accessories and homewares, emerging trends and interior themes. It’s another gift that keeps on giving; well, every month for at least six months anyway, and it’s sure to put a smile of the face of a house-proud family member or friend. 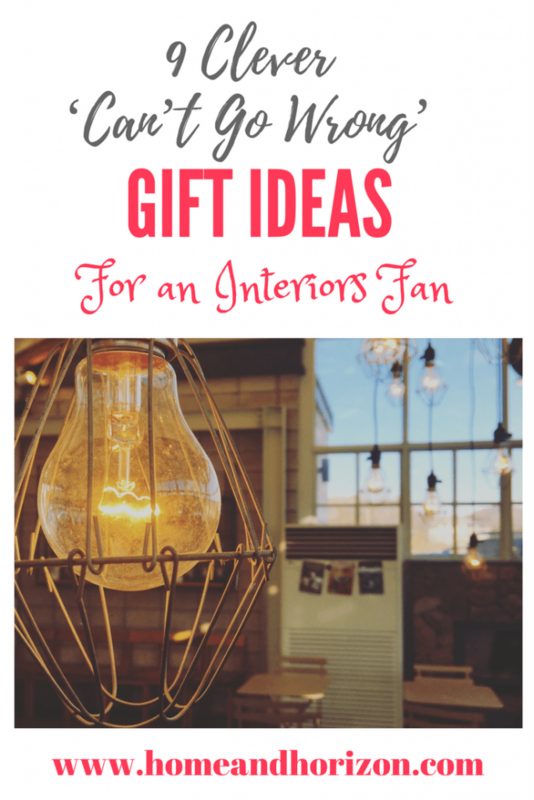 So that's my round-up of gift ideas for an interiors fan! If you're a fan of homeware and decor, what items can't you live without? My colour of the year 2018 is Merry Berry! I’ll keep my fingers crossed for you Margaret! Brilliant ideas! I’ll take one of each please! Love the idea of a magazine subscription, and many of them come with a free gift too. Win-win! Yes, that’s a great point Cal – good to get those extra value goodies with a mag subscription! 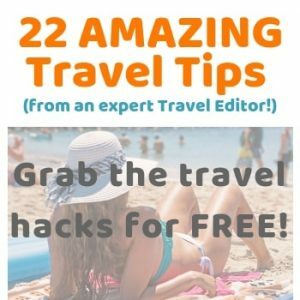 lots of useful ideas here. I want one of those throws to use on the sofa. I’m currently using one from IKEA and it attracts cat hair so it always looks a mess. 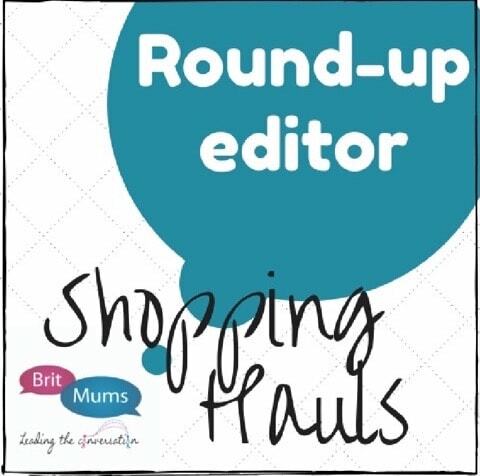 Thanks Fiona – sounds like you need one of those sticky rollers you can pick up from the bargain shops! Stay warm Ana! Glad I’ve helped inspire! Yes auction houses have quite a lot of statement items most of the times as well as antique markets! I cant live without cozy throws in my living room and that Heat Holder Snuggle Ups Blanket looks appealing and warm! I love browsing markets – old and new. I’ve often thought that would be a great job – if only I knew what things were worth! Kilner would be my top pick! I absolutely love their jars and they don’t have to be used to food either! Ah love this! Throws and candles are a guilty pleasure of mine. I’m with you on that one Jazmin. I’m a real Homebody too. I have scented candles on my fireplace, a throw in a box behind me & love reading interior magazines to see what I can incorporate in my home & life. I havent heard of a heat holder before! I am ALWAYS cold so this is perfect for me! I’d love one! Put it this way, you wouldn’t need an electric blanket if you had this – it’ll have you warm in no time. Oh just reading this is making me feel cosy! Love a good throw & some candles. That Ampersand is fabulous too! 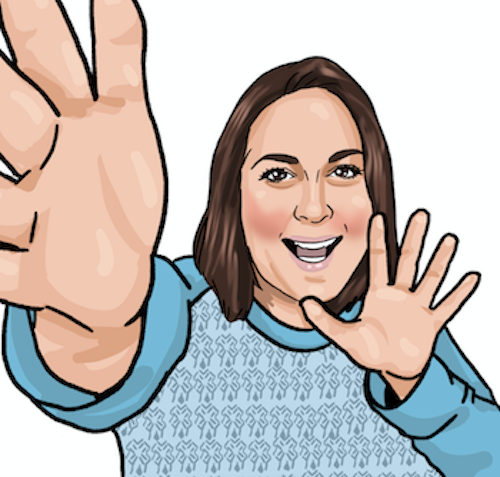 Thanks Sarah – everyone has their faves don’t they?! 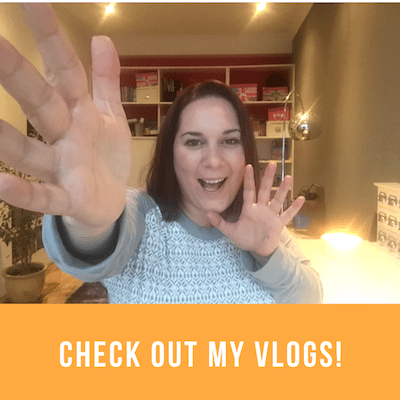 Thanks Anosa – I’m hoping that there should be at least one thing on the list to appeal to everyone! Scented candles would be a fab Christmas gift! 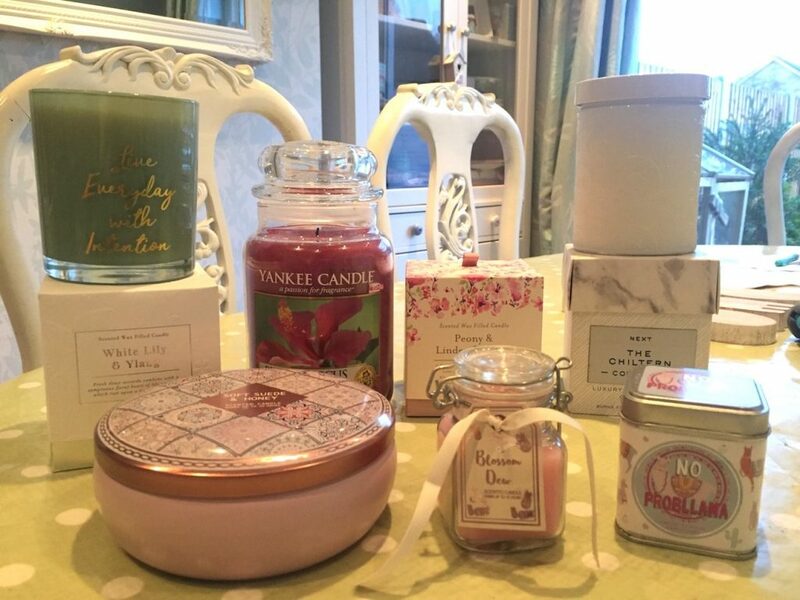 You can’t go wrong with scented candles – as long as they are good quality! Top tip: before burning, place them in your fridge or freezer for 20 mins – they will burn much slower! I didn’t know that! Thanks for that tip! Now my candles will surely last longer.